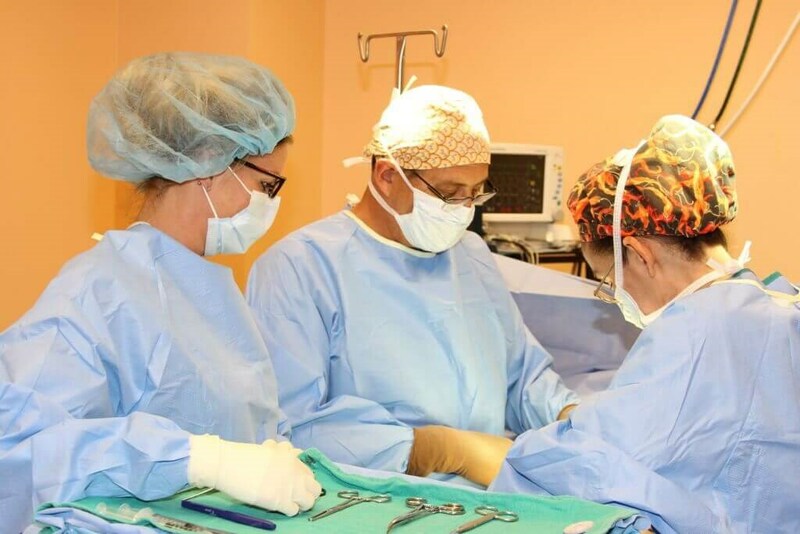 Francisco Canales, MD and Heather Furnas, MD in surgery with scrub tech, Carrie. 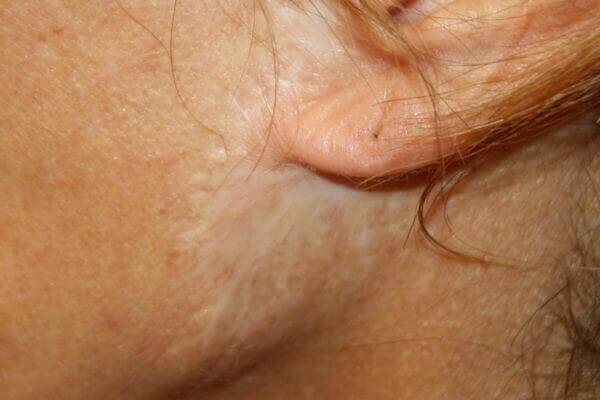 the patient, specifically her anatomy, tissue tone, genetic scar potential, age’s effect on tissue atropy, health, and compliance with instructions. If a facelift patient with “tissue paper skin” expects surgery to give her “Lycra skin” she will be disappointed. The plastic surgeon can cut, move tissue, place key sutures, trim extra skin, and augment a receding chin with an implant, but no surgeon can turn tissue paper into Lycra. 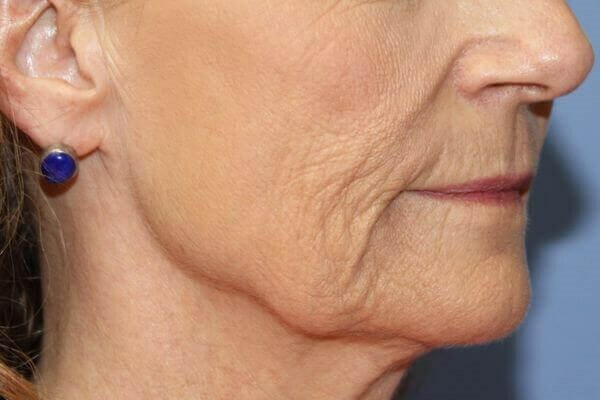 How Anatomy Affects Results In a facelift patient, strong check bones, a good jaw, and a well-defined chin provide the bony scaffolding for redraping of the skin, like a tent with proper-sized frame. Try draping a canvas top over frame that’s too small, and the canvas waffles, like a sail luffing on windless waters. The elasticity of the skin also impacts results. Hold a never-inflated balloon between your fingers, and it feels rubbery and spongy. Now pinch it in two places, stretch it half an inch, and you feel resistance. The balloon pulls back against your fingers’ force. After you release it, the balloon bounces right back to its original form. Next blow up the balloon just short of bursting, and then let out all the air and examine it. lifestyle and habits, like sun and wind exposure and substances ingested and inhaled. 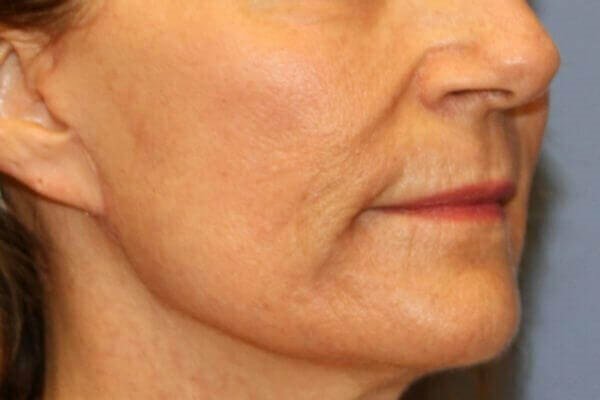 A facelift improved her jowls and removed much of her loose skin and laser resurfacing improved the lines of her skin. But part of her aging changes included loss of volume, which a facelift doesn’t address. So after she had healed from surgery, she had fillers to add volume to her face. What happens if a surgeon tries to create the look of Lycra out of tissue paper? If tissue paper skin is too loose after surgery, it follows that taking out more skin should give a tighter result. These two patients had facelifts done by a different surgeon who did just that. He tried to create Lycra skin by pulling and tugging, removing an extra amount of skin. Tissue paper skin won't turn into Lycra, but it'll scar. Like this. Skin pulls apart just like a pants seam from your wardrobe twenty pounds ago. 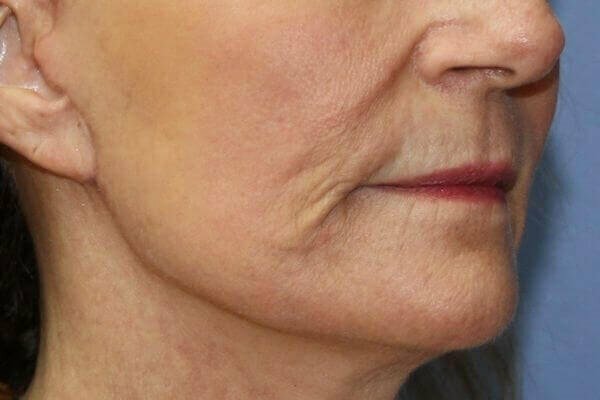 While the facelift incision might not actually result in an open wound, it will create a gap that scar tissue bridges. Because too much skin had been removed, the scars can't be reduced. Tissue paper skin can affect other procedures as well. A breast lift can improve flat, hanging breasts, but they won’t be full, round, and perky. That’s why patients with lifted breasts often want breast implants not to increase the size but give their breasts a rounded, more youthful shape. Upper eyelids may still have a slight fold after an eyelid lift so the eyes have enough skin to close. Tummy skin that has lost tone, especially after massive weight loss may loosen up after a tummy tuck. Plastic surgeons move tissues, place stitches that tighten, and utilize implants to alter shape and volume. But we can’t change the patient’s tissues, genetics, or anatomy. If a surgeon tries to create Lycra out of tissue paper, the patient is the one who has to live with the scars. Remember, we aren’t magicians.